If you’re looking to rent a storage unit, you may be wondering what size storage unit is best for your situation. At Affordable Family Storage, we have 6 different storage unit sizes to meet your needs. Read about what each unit can hold here. The 5’x5’ is the smallest storage unit available at our facility. This compact space, about the size of a walk-in closet, is great when you need a little more room for storage. It can hold several boxes and one or two small pieces of furniture, such as a dresser. Our second smallest storage unit is the 5’x10′. This unit size is helpful if you want a bit more space for your belongings, with enough room for storing items from a bedroom or dorm room. It may surprise you that a king-size bed and 10-15 medium size boxes will fit in this storage unit. The 10’x10’ is a popular storage unit choice because it’s versatile. This medium-sized space allows you to comfortably fit the components of a one-bedroom apartment and all the boxes that go with it. Major appliances also fit in this storage unit. For another medium-sized unit, consider the 15’x10′. You can store items from two-bedroom apartments, such as furniture, appliances, and even a piano in this space. The second largest storage unit is the 10’x20’. Picture the size of a one-car garage for visualization. This unit should hold most midsize cars, or all the furniture, appliances, and boxes of a two or three-bedroom home. 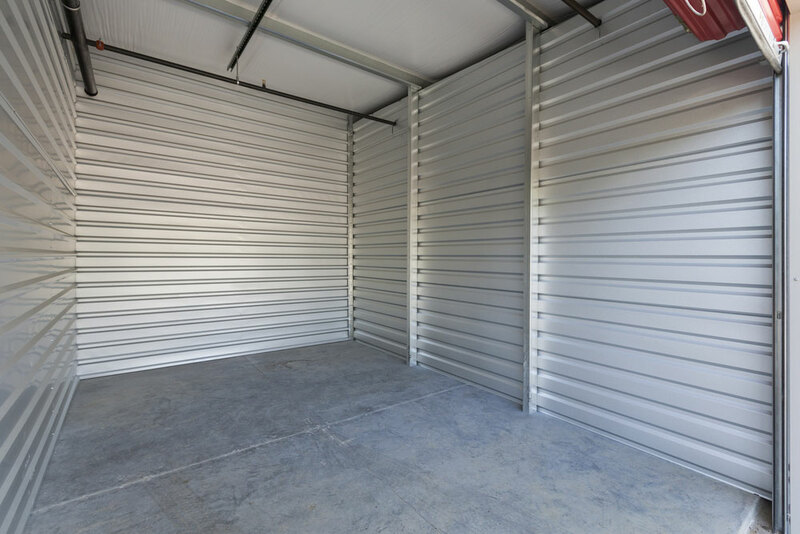 The largest storage unit available is the 10’x40’. This unit is large enough for the contents of a four-bedroom home, or a vehicle like an RV, a boat, or a pickup truck. If you have a big family and need a large space, this unit size is perfect for you. The selection of a storage unit is an important choice. If you live in the Omaha area, our storage units are just a short drive away. Contact us with any questions and check out the storage space calculator on our website for a unit size estimate.